Just a quick update on the off chance anyone stumbles on this page - we have managed in our spare time to record 7 songs that should be mixed shortly and then we will figure out what to do with them. In any event, they'll probably be posted on the internet for anyone who cares to listen. That's it. 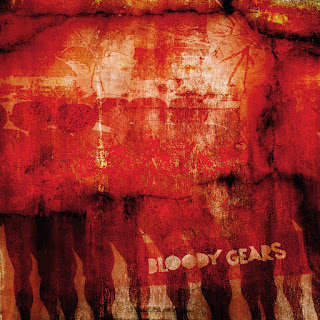 Keep the fate/How we rock, Bloody Gears. A quick update for anyone who cares: we are working at a snail's pace to finish a final recording. It's doubtful this will happen this year due to scheduling conflicts, but I think we are all comitted to doing it. I think the new stuff is strong and hopefully anyone who liked our records will dig it. I have no clue whether it will be a record or just something that gets posted for download. In any case, it will probably be the last thing we do as a band. Rest assured I'll update this again once we have something to show for ourselves.